Last year Samsung refreshed its wearable lineup with the Galaxy Watch, getting rid of the wearable’s longrunning Gear branding. 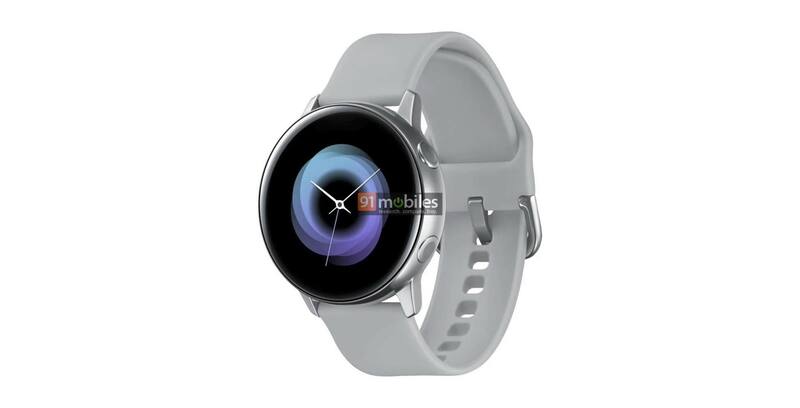 Now, according to a render posted by 91Mobiles, Samsung has plans to replace the Gear Sport with the Galaxy Sport. If the render is accurate, the wearable will feature a round dial with two circular buttons and a metallic finish. It appears the Galaxy Sport will also ditch the rotating bezel. Without a rotating bezel, Samsung must have made some big changes to its Tizen operating system given it relied heavily on the bezel for navigation. Tiger Mobiles also leaked renders of the Galaxy Sport showing off the handset in black, blue and rose gold variants. The Galaxy Sport will reportedly feature 4GB of RAM, Wi-Fi and Bluetooth as well as Bixby Reminders. The smartwatch will also include NFC for mobile payments, according to the leak. Samsung will reportedly unveil the Galaxy Sport at its Unpacked Event alongside the Samsung Galaxy S10 series on February 20th.